AT&T is already bigger than T-Mobile. But that isn't stopping Ma Bell from trying to lure T-Mobile subscribers to switch to AT&T. The war for mobile customers is heating up with AT&T making this pitch directly to T-Mobile customers: Switch to us and get $450. It's not cash. AT&T (T) is offering T-Mobile (TMUS) refugees a $200 credit per phone line, plus the chance to trade in their smartphones for up to $250. It's the latest in the battle between AT&T and T-Mobile, the underdog that's been hounding its larger rival on every front. With its very public "uncarrier" strategy, T-Mobile has set its sights on AT&T as well as Verizon (VZ). First, T-Mobile eliminated contracts, opting instead for customers to pay lower monthly rates and buy their own phones. Then came the "Jump" program, which allows customers to upgrade phones twice a year. Then T-Mobile killed roaming fees and slashed per-minute and text charges. AT&T is fighting back by appealing to T-Mobile customers' wallets. 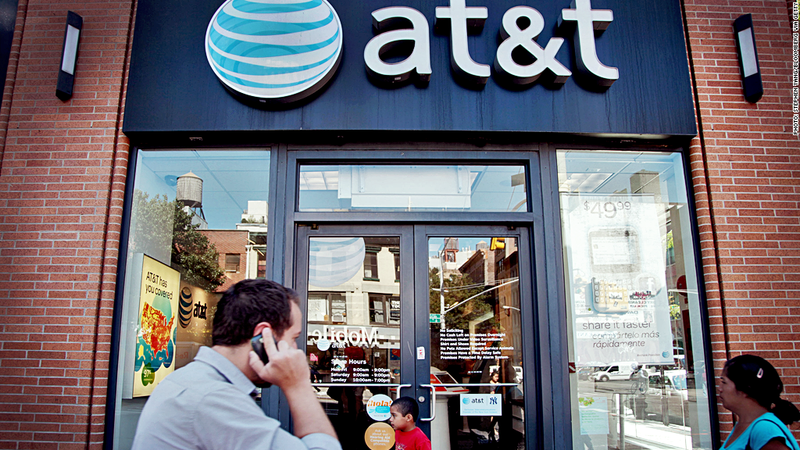 AT&T declined to say how long the $450 offer would last, citing competitive reasons. The company wouldn't say how many customers it expects to gain from the pitch -- or how much it would cost. T-Mobile did not immediately respond to requests for comment. But CEO John Legere addressed rumors of the AT&T offer Thursday night on Twitter. "I guess we are making AT&T a bit nervous," he wrote. T-Mobile is currently the fourth largest wireless company in the U.S. But it has always been viewed as a possible takeover target. In fact, AT&T and T-Mobile agreed to a $39 billion merger in 2011 but AT&T wound up scrapping the deal once it became clear that regulators would block it. Now there is speculation that Sprint (S), the nation's third largest carrier, may want to buy T-Mobile. Shares of T-Mobile fell nearly 4% in early trading Friday. But the stock is up more than 20% in the past month due to the reports of a possible Sprint takeover.